Housed in the newly renovated facilities The Rosenthal Institute at New York University College of Dentistry combines the look and feel of the finest private dental practices in New York City with the ambiance of a luxury hotel. A separate entrance on 24th and 25th street opens onto a beautiful lobby leading to an elegant wood paneled reception area. It is the nation’s first comprehensive program in an academic dental center to train dentists in the burgeoning field of aesthetic dentistry. The 6,000,000.00 8,500 Square foot learning facility features an elegant marble and mahogany décor. It is equipped with 15 state of the art treatment rooms all equipped with state of the art ambidextrous capable Kavo Dental chairs, a 52 seat amphitheater with lap top connection, surround sound system and global videoconferencing reach. It also has a corporate style boardroom with remote broadcast capabilities a large laboratory with a demonstration area and overhead state-of-the-art TV display and an operatory under glass outfitted with multiple cameras to permit live interactive clinical demonstration that can be broadcasted around the world. The Rosenthal Institute will provide a coordinated approach to the study of aesthetic dentistry. Students will develop skills in current and emerging techniques in aesthetic dentistry. The restoration of severely worn dentine is one of the most challenging procedures in dentistry. In order for one to successfully restore and maintain the teeth, they must gain insight into how the teeth became so damaged in the first place. 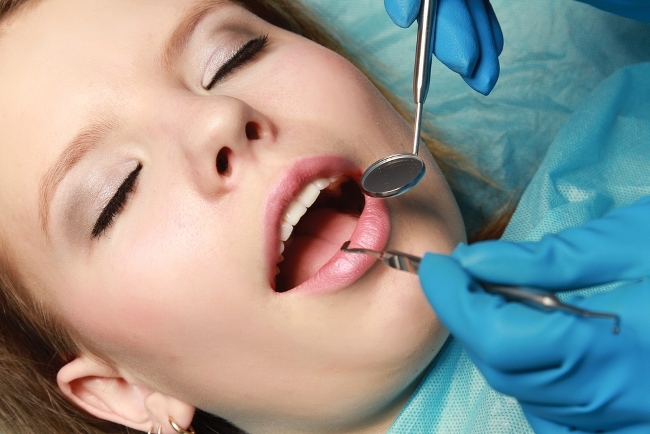 The wear and tear of teeth could be a result from abrasion, attrition, and erosion. Research has shown that these types of wear mechanisms rarely act alone and there’s nearly always a combination of the process. When it comes to evaluation and diagnosis, one should always account for the patient’s diet, history of eating and/or gastric disorders, along with the present state of the occlusion. Emphasis must be placed on the evaluation of occlusal prematurities to prevent condylar seating into the centric relation position. If you’re ready to further your dental career by learning the latest techniques in dentistry, contact Aesthetic Advantage at 212-794-3552 or visit www.aestheticadvantage.com to enroll today! Aesthetic Advantage proudly serves New York, Atlanta, Florida, Chicago, Pennsylvania, Boston, Rhode Island, California, North Carolina, South Carolina and surrounding areas. In this publication, Dr. Michael Apa and Dr. Larry Rosenthal, have undertaken what they consider to be a severely dysfunctional occlusion. With the help of master ceramists at Frontier Dental Laboratories, Dr. Apa and Dr. Rosenthal were able to restore an almost hopeless situation into virtual, functional and aesthetic is less than two week. If you’re ready to learn the latest techniques in aesthetic and restorative dentistry, contact Aesthetic Advantage at 212-794-3552 or visit www.aestheticadvantage.com to enroll today! In this day and age, dental professionals are exposed to many complex esthetic, restorative and functional challenges. Fortunately, there’s an equal number of dental procedures and materials available to accomplish treatment of these complex challenges. Treatment alternatives are either termed traditional or nontraditional. For dental professionals who are dedicated to providing state-of-art solutions, treatment outside of “traditional” must be considered every now and then. One of the most challenging esthetic restorations are the replacement of congenitally missing lateral incisors. When a clinician is presented with the replacement of congenitally missing lateral incisors, they must consider the types of treatments available, along with the possible outcome. The traditional treatment options include orthodontics, traditional 3-unit bridge, single tooth implant, or Maryland Bridge. Click here to read the full article “Congenitally Missing Lateral Incisors”. If you would like to continue you dental education, contact Aesthetic Advantage at 212-794-3552 or visit www.aestheticadvantage.com for more information regarding our comprehensive aesthetic dental program. Aesthetic Advantage proudly serves New York, Atalanta, Florida, Chicago, Pennsylvania, Boston, Rhode Island, California, North Carolina, South Carolina and surrounding areas. Please join us at the Aesthetic Advantage Live Hands-on Continuum this spring where you can either observe or participate hands-on with a patient. This extensive program focuses on both comprehensive aesthetic and restorative dentistry. Each participant will have the opportunity to acquire knowledge about comprehensive and restorative cases; become more efficient in treatment planning and presentation, as well as gaining the skills needed to preform top-notch dentistry. Top it off, you’ll be able to perform cases with increased confidence. The first part of the Hands-on Aesthetic Continuum program is 4 days spread over two weekends. On the first clinic day of the program, participants may bring a patient and prep a live case or participate without a patient and observe over the shoulder up to 10- to 15 cases being prepped and temporized. One month later, each participant will return and listen to a lecture series. The following day participants will seat their clinic cases. The participants who chose to observe will watch over the shoulder 10-15 cases being inserted. Click here if you’re interesting learning more about Aesthetic Advantage Live Hands-on Continuum program this spring. 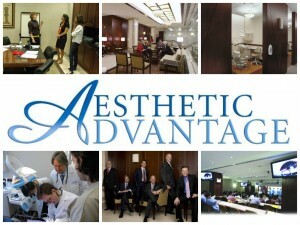 For more information regarding Aesthetic Advantage visit www.aestheticadvantage.com. The practice of dentistry allows its practitioners the opportunity to diagnose and treat many dental problems. 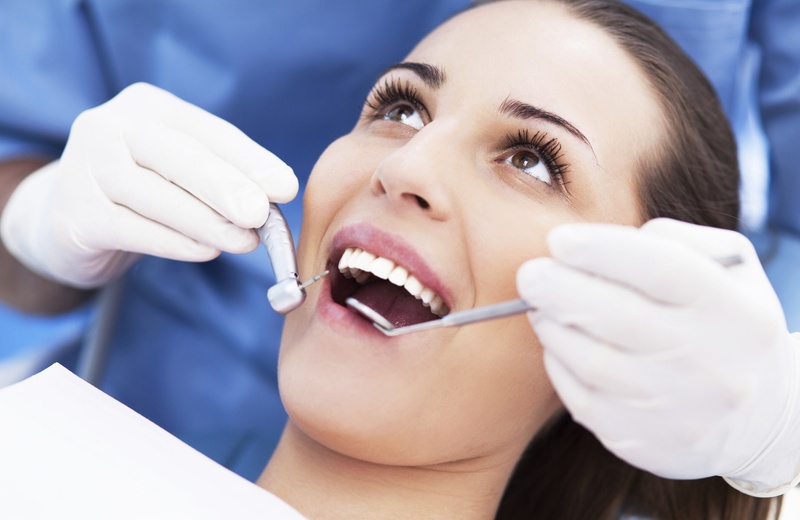 The methods that dentists typically select are the ones they feel most comfortable with, the ones they know will provide immediate results, and the ones they know will last the longest. 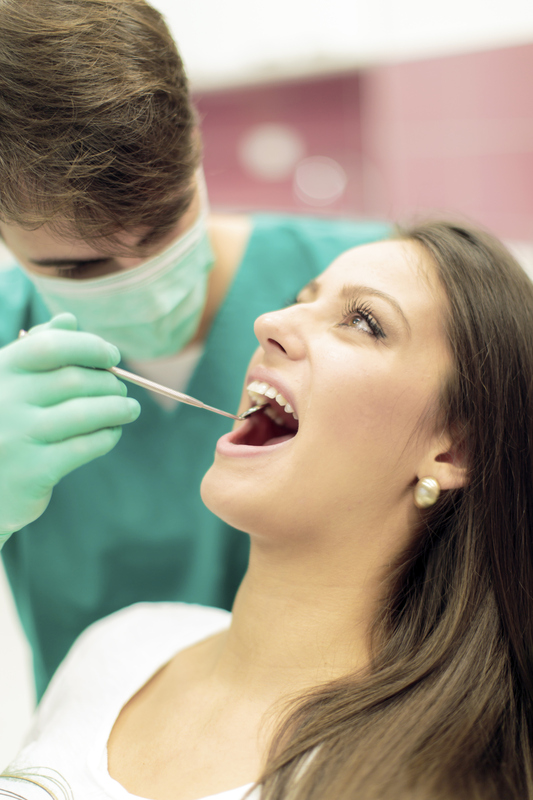 Dentists look at each individual case presented to them and seek an evidence-based solution to correct the problem. As new techniques and materials become available in dentistry, dentist now must choose between applying the treatments they are comfortable doing or to challenge themselves to learn to use new techniques and materials. By continuing education in a profession that’s constantly changing, dentists can provide endless possibilities for their patients. If you’re interested in continuing your education in dentistry, contact Aesthetic Advantage at 212-794-3552 to enroll today or visit our website at www.aestheticadvantage.com to learn more about the programs we offer. There have been many advancements in dentistry over the years, one of those advancements include the way dentists go about completing an occlusal adjustment. Dental practitioners would rely on articulating paper to determine occlusal contact and force. However, this protocol had led dentists some dentists to make irreversible adjustments to the human anatomy. This happens because there is no further analysis or measurements of problems like bite force and timing. To complete a successful occlusal adjustment a computerized occlusal analysis instrument should be used. The use of a computerized occlusal analysis instrument is an extremely accurate way to measure the time sequence or force of occlusal contact. But despite this technologies proven force reproduction capability, the instrument has been underused in the dental profession. This instrument can be used with any occlusal philosophy interocclusal relationships. Are you interested in furthering your dental education, but unsure which school you would like to attend or what courses to take? Check out Aesthetic Advantages Observer Program I. For this course you can either attend one weekend or both weekend without bringing a patient along. You will be able to listen to lectures and observe an all-day clinic of 15 cases being prepped, temporized and seated in our clinic session. This option will also allow you to see if our course/philosophy is right for your practice. Enroll today and see what Aesthetic Advantage can do for your career! Call today at 212-794-3552 or take a look at our website www.aestheticadvantage.com. The “Art of Facial Aesthetics” is a routine phrase and approach in many contemporary dental practices. This phrase has even greater meaning when one considers the expansion of the whitening market and the increased use of aesthetic orthodontics (ie, Invisalign, Align Technology, Santa Clara, CA). 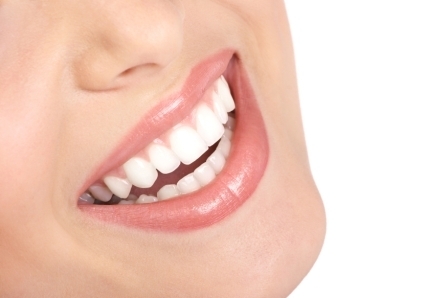 Certainly, the use of porcelain veneers and conservative crowns has enabled dentist to become a major player in the development or restoration of facial aesthetics. This role utilizes the basic principles of smile, preparation, and facial designs in the dentist’s armamentarium. The purpose of this article is to incorporate all these modalities into achieving a predictable aesthetic result. 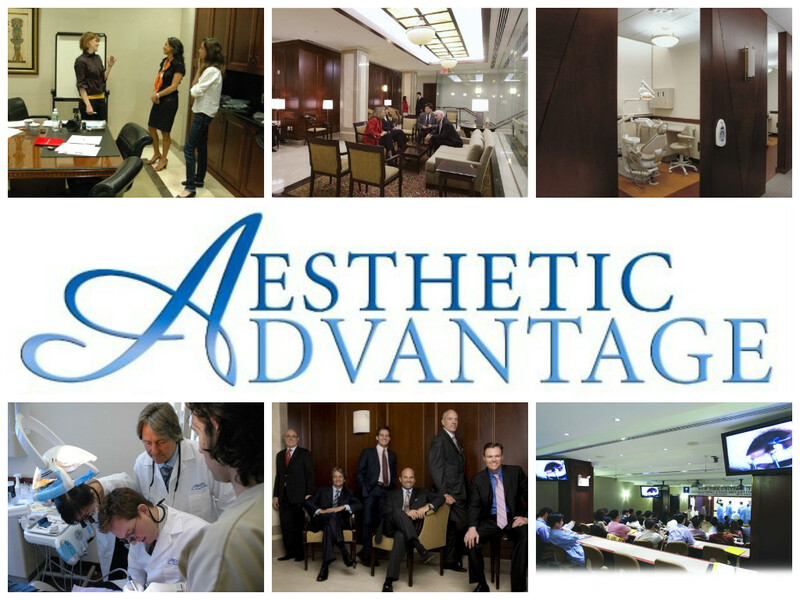 To enroll in the Aesthetic Advantage program and enhance your practice and dental knowledge, call 212-794-3552 or visit www.aestheticadvantage.com.